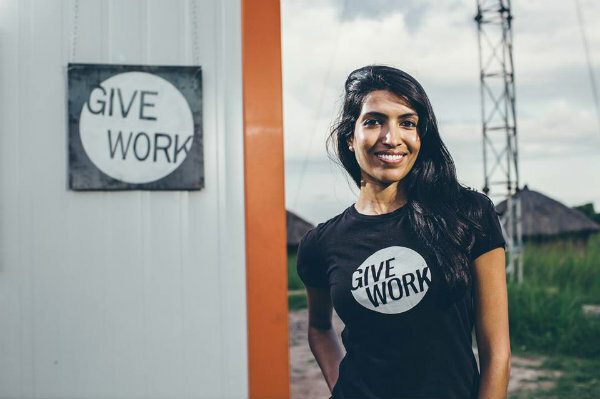 Leila Janah has a dream of every Fortune 1000 company pledging to devote 1% of their outsourcing budget to people in need. Is this a grand humanitarian vision to have? Absolutely. As you might suppose, Leila is the founder of a non-profit whose efforts mirror her dream. What might surprise you is to learn that she has a business model that makes 1%, though signifying billions, a rather modest number. 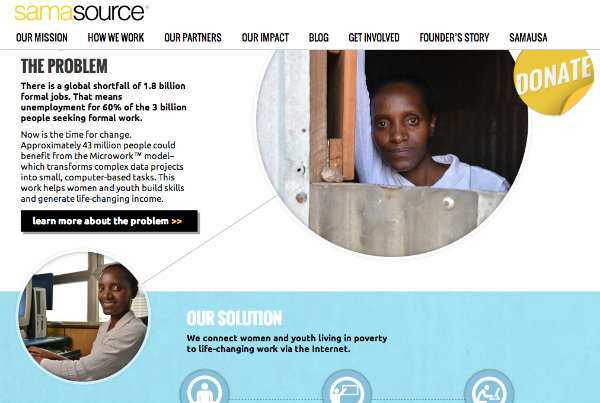 In 2008, Leila founded Samasource, a non-profit intent on redirecting some of the billions spent on outsourcing toward poor women and youth in developing countries. The mission is achieved thanks to a business model she pioneered, known as Microwork. By partnering with large enterprises, digital tasks are divided into smaller pieces. The simplest tasks are assigned to people with as little as two weeks of training. Managed in the cloud, Samasource ensures that work for clients is completed by trained individuals who are professionally managed as part of a system with effective quality assurance controls. Each project receives the personal attention of a service team based in SanFrancisco that distributes components to partnering local centers established in Ghana, Haiti, India, Kenya, and Uganda. Described as a win-win-win model, Microwork allows businesses to fulfill their service needs at competitive prices, relieves governments of aid spending, and gives those most in need decent work and wages. The workers lowest on the ladder are the real success story here. By completing computer-based tasks these agents become part of the global economy – the international digital supply chain – that would otherwise exclude them, and they can quickly double their wages. 75% of the women and youth who gain a foothold on the bottom rung advance to higher levels of employment or education within a year. Samasource now operates 9 work centers in five countries. Over 4,000 people have received training and paying work, valued at $2.3 million USD in wages and benefits. Perhaps best of all, the Microwork model empowers people to break the cycles of poverty and find dignified, long-term work in the digital economy. Leila learned firsthand that heart and money aren’t enough to help people out of poverty. As a volunteer English teacher in Africa when she was 17 years old, she met people who surprised her with their English fluency and knowledge of American culture. She realized that lack of work still proved a formidable barrier to educated and talented people wanting to improve their circumstances. Similarly, time at the World Bank left her frustrated with programs and institutions that didn’t respond to what people wanted or needed – at times far removed from any real contact from the people they were designed to help. 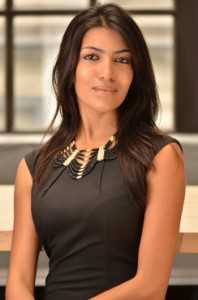 Working as a consultant in Mumbai, Leila met a call center worker from Dharavi (the slum many Americans came to know through the hit film Slumdog Millionaire) who spoke of millions like him stuck in villages without work. This led to her aha moment, when she thought of using the outsourcing model to lift people at the bottom of the economic pyramid. Samasource has gone on to generate contracts with companies such as Google, eBay, Microsoft, LinkedIn and received both support and donations from organizations including The MasterCard Foundation, The Rockefeller Foundation, Ford Foundation, the U.S. Department of State and more. Leila has been a featured speaker at Tedx, singled out as an entrepreneur to watch by major media outlets such as Forbes and Entrepreneur. The growing success of Samasource has led to the creation of a new trial program, SamaUSA – offering free training to low-income community college students to do online work and earn supplemental income that helps them to complete their education. It takes reality – a model – to make dreams come true. I can think of no better place to look than Leila.